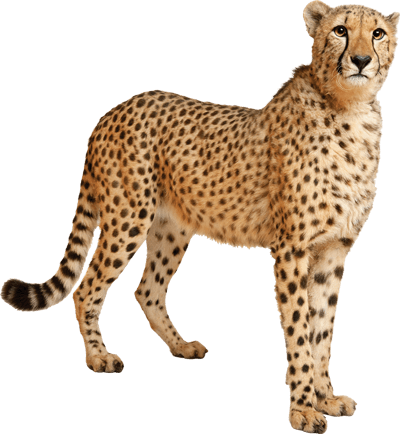 The cheetah is the fastest animal on land and can run from 60 to 70 miles per hour! Cheetahs are one of the smallest of the "big cat" group of wild cats. They are not good at climbing trees and cannot see very well at night. Origin: eastern and southwestern Africa. Print the Cheetah Character Card! 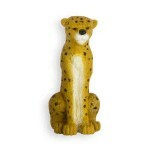 The cheetah is the world's fastest land mammal with acceleration that would leave most automobiles in the dust. A cheetah can go from 0 to 60 miles per hour in only three seconds. Cheetahs need to drink only once every three to four days. Cheetahs can mimic some bird sounds to attract them.